Congratulations to the winners of the Fourth Annual Great Race sponsored by The Center for Faculty Excellence. 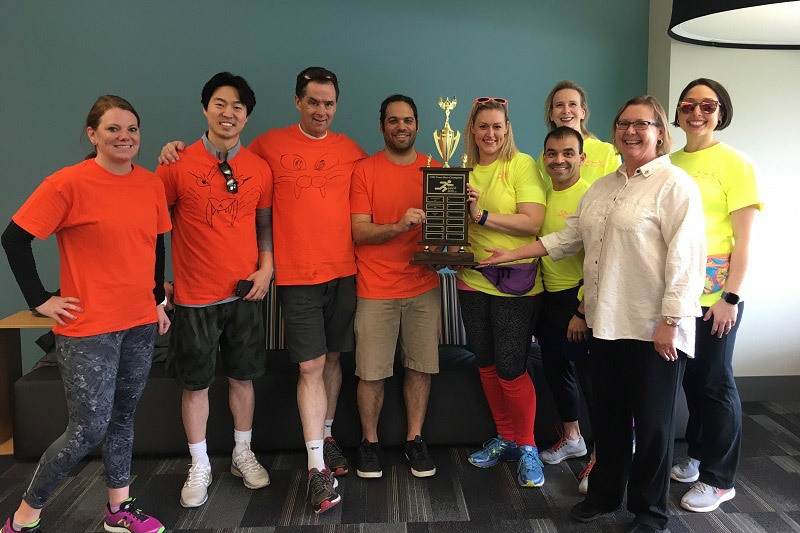 Congratulations to the winners of the Fourth Annual Great Race sponsored by The Center for Faculty Excellence (CFE). The teams from the College of Education tied for first place, claiming bragging rights to the trophy for the next year. The trophy was presented by Dr. Deborah Smith-Howell, Dean of Graduate Studies and Associate Vice Chancellor for Student and Academic Affairs. H&K #1: Angela Collins, Song Young Park, John Noble, and Adam Rosen. FANNY PACK: Jessica Baldwin, Eddie Panton, Jenna Yentes, and Kelly Gomez-Johnson. There were also five other teams that participated representing Arts and Sciences, Criss Library, and Education. CFE also thanks those faculty and staff serving as Challenge Masters for the event. The creativity and effort put in to the activities that participants had to complete made a fun and challenging day.